ENGLAND have a score to settle. Two years ago, they skulked home from India with tails between legs after a 4-0 series defeat. A few things have changed since then, most notably Joe Root succeeding Alastair Cook as captain. Young guns Haseeb Hameed, Ben Duckett and Zafar Ansari were all blooded on that tour, but none have played Test cricket since. 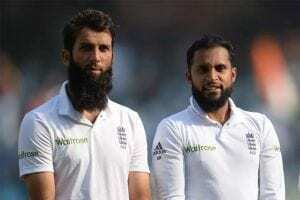 Nor has Adil Rashid, but that has not stopped chief selector Ed Smith from recalling the leg spinner despite his well-documented refusal to play county cricket this year. Moeen Ali is also back in the fold, while opening bat Keaton Jennings keeps his spot after replacing Mark Stoneman for the second Test against Pakistan in June. There could be an international debut for Essex seamer Jamie Porter, who bagged 75 wickets en route to the county title last year. Even with all the mumblings and grumblings about certain selections, England head into Wednesday’s series-opener at Edgbaston as even money favourites with the bookies. The big question for India (+200) is how their batting order will stand up on foreign soil. Shikhar Dhawan failed in both innings of the tour match against Essex, so it looks like Lokesh Rahul and Murali Vijay will open in Birmingham. Cheteshwar Pujara also struggled at Chelmsford, while there is immense pressure on Virat Kohli to deliver the goods after a poor tour of the UK back in 2014. 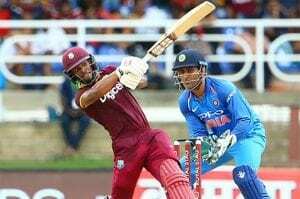 The tourists have opted for Karun Nair over the more experienced Rohit Sharma, even though the latter stroked two centuries in the recent ODI series. Another impressive performer in the 50-over games was Kuldeep Yadav, who could feature alongside Ravichandran Ashwin and Ravindra Jadeja as part of a three-man spin force. 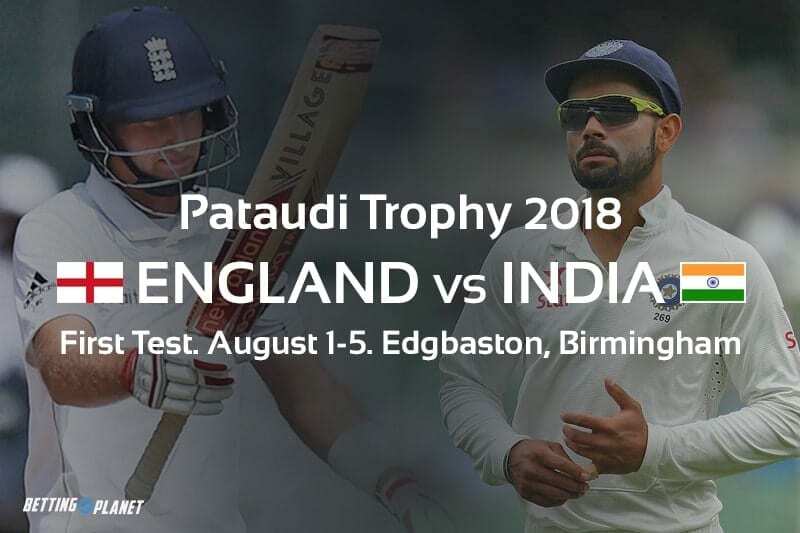 India have not won a Test series in England for over a decade, but they are determined to reverse their reputation as one of the world’s worst travelling teams. “We have done exceptionally well in white-ball cricket,” team manager Ravi Shastri said in an interview with ESPN this week. “We showed some very good signs in South Africa as far as the red ball is concerned. Shastri cited the diversity of India’s wicket-taking options as cause for optimism. “We have a bowling attack that can take 20 wickets,” he said. Joe Root – Much has been said about Root and his inability to convert good starts into really big runs. Even so, he reaches 50 more often than just about any other player in Test cricket. Jump on the England skipper at +300 odds with Betway. Virat Kohli – Kohli has a miserable record in England, but he has that in common with most Indian batsmen not named Rahul Dravid. A big knock in the first Test would send a very clear message. 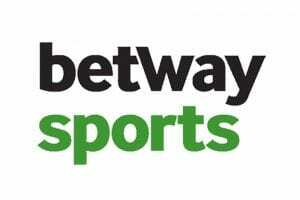 Take the +275 on offer at 888sport. James Anderson – A gruelling schedule and sweltering weather trends mean we can expect both sides to rotate their quicks throughout the series. Anderson and Broad should start at Birmingham, however, and we like the senior man at +250 odds with William Hill. Kuldeep Yadav – Kuldeep was the standout bowler in the limited-overs leg of this tour, racking up 21 wickets in seven games. There should be something for the spinners at Edgbaston, which makes his +270 price at William Hill well worth a bet. 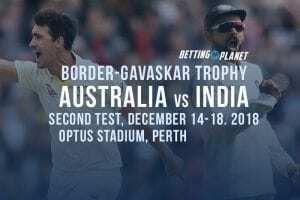 Who wins – England or India? The UK’s ongoing heatwave might see the Birmingham pitch play a little drier than usual, which could well suit the visitors and their loaded spin attack. However, that will mean nought if they cannot do some damage with the willow in hand. England’s old hands should have enough in the locker to get the job done.